Description: Recommended enhancement: Wizard. 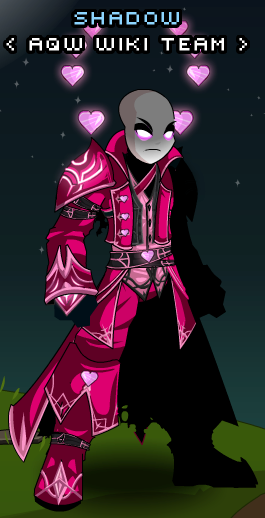 Dage may be Evil, but what Beleen has done to his beloved Dark Caster armor is even more Evil… Yet totally awesome! 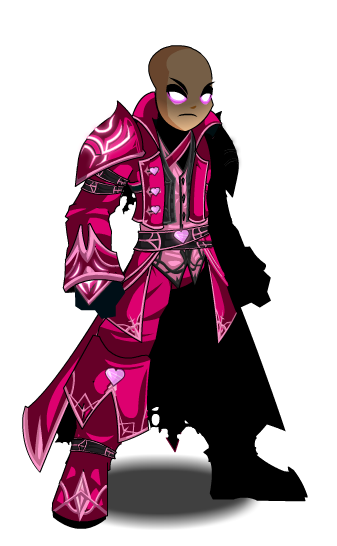 If the power of love conquers all, then Love Casters shall adorably-dominate all of Lore! Special Effects: Love Casters gain mana from all hits landed in combat, and especially on crits. The amount depends on damage relative to *their own* HP total. Description: Love is a basic human emotion, and sometimes it can hurt people. Description: Breathes fire on your target causing moderate damage and applying the Love-scarred state to them for Damage Over Time. Description: Summon the Love Potion's power and hit your foe with an intoxicating philtre which has a slight chance to stun your target. Description: You are flying fast on the wings of love, causing moderate damage to your target. This power DOUBLES your attack speed and cuts all mana costs in half for 8 seconds! Thanks to Apus, Chamaeleon, Mira and Seah Deng Xian.